We are really pleased to have been recommended on the register. To make it onto the register an agency must be recommended by their clients, as well as top-line supplier information, the register also captures ratings from their clients that gives a unique picture the level of customer satisfaction that each agency achieves. 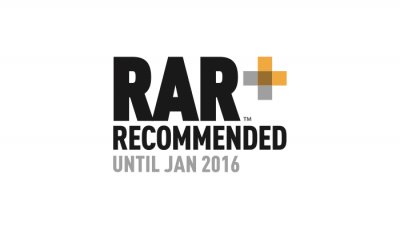 Here is a quote from the Recommended Agency Register: "When we started RAR we realised how important it was for brand owners to find the right marketing suppliers. But we also knew that the process was notoriously difficult. The lack of a reliable and independent information on agencies and suppliers meant that clients could spend inordinate amounts of time to gather market knowledge but often end up relying on luck to make the right choice. We address this by providing market insights and expert services that enables companies to make an informed and efficient choice of suppliers."